I hear the desperation in her rough, scratchy voice, see the bags under her eyes as she wearily replies to the prophet, “I don’t have any bread – only a handful of flour in the jar and a little olive oil in a jug. I am gathering a few sticks to take home and make a meal for myself and my son, that we may eat it and die." I know this kind of desperation. So she went. And she did exactly what he said. Do I know this kind of trust? To Hope, when nothing seems to make sense. To Know that He knows best, even when what He is asking of me seems impossible. I don't know much, but I am learning, and God is showing me this: I beg Him to bring me close to His heart. Orphans get us close, this is how He sees us. Adoption gets us close, this is how He brings us into His family. The poor, the widow, the prisoner, the beggar, they get us so close to His heart, these people are dear to Him. But nothing gets us closer than injustice. I think of a Savior, who spent His whole life doing nothing but good - saving and healing and feeding and helping - dying on a cross like a thief or a murderer. A Father, a Father who desires good things for His children even more than I want good things for mine, a Father who could have stopped it at any time, watched it happen. For me. For you. And I weep at the injustice of it. And I think that while NO part of me wants to be here, not at all, this is where I asked to be. Closer and closer and closer to His heart. He knows this pain. He knows what it is to lose a child to the injustice of a broken world. And so while I still cry and beat my fists on the floor, I find comfort in that, and ask to be closer still. The ending of this story is Redemption. As is the ending of ours as we continue to place our hope in Him. This weekend we put up the tree that has watched our family grow year after year. We still hung 14 angels on the tree. We still have 14 stockings. Only 13 sets of little hands helped make our tree glitter, but still 14 places are notched out in my heart. I think of Mary. Young. Tired. Alone. Completely unable to understand why this would be his plan for her. Chosen. Carrying our Savior into this broken world. Jesus is coming. And I am young, and tired, and completely unable to understand why this is happening. But I am chosen, instructed to carry the story of our Savior, to shine His light into a broken world. His love and His strength, they will not run dry until He gets here, fresh rain on a parched land. And I wait in hope for Him. We are still out here praying. Still out here crying for your pain. Still out here asking why. While it might feel that way in your far away land, you are not alone. We love you! We believe in you! We stand by you in prayer! And justice never goes forth. For the wicked surround the righteous; Therefore perverse judgment proceeds." The Lord began His reply in the next verse with "Look among the nations and watch — Be utterly astounded!" Injustices were going to abound, and they were going to be astoundingly painful, but not purposelessly. I LOVE how Habakkuk ends. It presents a different "always enough" than the widow's jar. Hab 3:17-19 "Though the fig tree may not blossom, nor fruit be on the vines; Though the labor of the olive may fail,and the fields yield no food; Though the flock may be cut off from the fold,and there be no herd in the stalls — Yet I will rejoice in the Lord, I will joy in the God of my salvation. The Lord God is my strength; He will make my feet like deer's feet, and He will make me walk on my high hills." HE is always enough and always worthy to rejoice in. And one day He will come again and every wrong will be righted and every tear wiped dry. For now we still have tears and pain and injustice, but let us press on in hope knowing HE is ours, and He has His redemptive plans even in the worst of injustices. I LOVED this post Katie...may we all be drawn even closer still to our Savior! Oh sweetheart, I've not commented before or at least in a long time, but I couldn't read this post without commenting. The love our Savior has for us is incomprehensible. The love of Father God is not fathomable. But we know how very much He loves each of us and this broken world. How very much He longs for us to know Him and to know His heart for us. I have realized that suffering brings us closer to His heart than pretty much anything else can. It hurts and I cannot begin to imagine your pain of having your child taken from you. But I want you to know that God is pleased with you, sweet servant. And He loves you very much. You have a beautiful heart and He will bless you for your faithfulness. Ps. 61:1-2 "Hear my cry, O God...from the end of the earth I call to You when my heart is overwhelmed; lead me to the rock that is higher than I." You are in my prayers. Praying for you and all of your girls. Praying for Jane and for the pain in her heart also. I can't imagine what any of you are going through but the wonderful thing about our Jesus is that He really did endure the pains of life such as we are and He really truly gets it and that comforts me more than anything. Big hugs my friend. High King of Heaven, my Treasure Thou art." Keep running to His heart. Praying for you in Winston-Salem, NC harder than you could know. you are where the "rubber hits the road". Blessings to you and your Family. May you find peace that only comes from God! Several years ago, a baby boy we had expected to adopt left our home and our hearts were broken for his loss. He was not in our arms even a fraction of the time your Jane was. My heart aches with yours and I pray for God's comfort that passes understanding for your family and your own heart. Simply amazing...the sweet, desperate faith of one so young with a heart so full and a passion for the things of Christ! Oh, Katie, how my heart hurts with you when you hurt and how my heart is blessed deeply when I continue to see the Lord working in and through you! Your "momma's heart" is a beautiful thing to behold, and I am richly blessed for having you in my life! I love you and am praying for this Christmas to heal the hurt and heighten the hope...of more and more of Him! What a beautiful post. My prayers are with you and your family. THAT was a WORD. Thank you, Holy Spirit. Thank you, Katie. May our God strengthen you as you continue to call us to account through your words and obedience. I have just begun to read your blog. We have a ministry to the women and children of Uganda called Mercy Uganda. I am humbled by your heart and by your obedience and by the love of Christ you show daily! Praying for your ministry and for Jane! Oh, Katie...your heart is in the right place!! He is always enough...no matter what. I wish that Jane's situation could be corrected and will continue to pray for that...but we'll just see how He handles it. He's the only one that can write her story. your family has been in my thoughts since first reading your blog a few weeks ago. Thank you for your honesty... I can hear your pain in your words. Thank you for the reminders that drawing near to God does not mean everything gets easy... praying for your family. Thank you so much for your example of obedience. May you feel His loving arms around you and your girls daily. Your courage is amazing and you made this story of the woman and Elijah come alive in a way it never has for me before. I am heartbroken for you and praying for peace and protection for both you and Jane. Your posts move my heart and bring me closer to Jesus. Thank you for that. I am so strengthened by your faith, katie. My prayers are with you. Beautiful Katie! We are coming int Jinja in Feb - we would love to bring you anything you may need. Blessings! yes Katie. there is always enough in Christ. ALWAYS. Thanks so much for helping me realize this once again!!! God bless you and your beautiful princesses!!! you and your girls are always on my heart. thank you for loving Jesus. I am blessed to get to share in the story He is telling you. Your strength gives me hope. Even a year later, the pain is still fresh. It's been a TOUGH year; but a time of trusting in Our Heavenly Father to redeem the situation. Praying for you, this Christmas season, that the Lord will give you ALL that you need. "To Hope, when nothing seems to make sense. To Know that He knows best, even when what He is asking of me seems impossible." "And so while I still cry and beat my fists on the floor, I find comfort in that, and ask to be closer still." Katie, the Lord has given you such great strength that is beyond words. Please know that you and your beautiful girls are in my prayers. As you know, The Lord God is with you always, and never give up. I feel the same way with discovering becoming "closer still" to God as He is revealing my calling to me overseas...but over time He has faithfully come through in His peace, provision, and everlasting love. I wait, expectantly each day, for a post from you, and my heart lept when I saw your fresh words. It was almost one year ago that i found your blog and sat for hours and hours for two straight days reading all of your blog from the very beginning. I was changed more in those two days than in all of my life. You are bringing people to Jesus and me closer still to my God. Each night that I awake in the dark hours to rock one of my little ones back to sleep I think of you and of the pain that you are going through without your Jane and my heart physically hurts as I pray for you and your family. As you sit in the center of His will, may you find peace and hope in all that He has called you to. 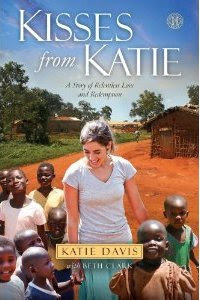 Katie, your heart convicts and brings me to tears. I cry for your pain and for the breaking sound of God's heart. Your mention of Mary is no mistake. This week at my church our pastor just spoke on the fact that seh was absolutely ordinary. Obediatnley ordinary. And God wanted to use her to do extraordinary things. I beleive he is doing the same for you. And remember that God's favor doesnt mean ease-I think you know that. But please know God looks and sees you, he is enamoured for your heart for him-and for the things that are on his mind. He loves you and you are highly favored. He now is going to see you through the impossible and bless you and hold you the entire time. Many prayers are sent your way. Beautifully written. Thank you for your vulnerability and transparency. Thank you for the inspiration to stay broken yet beautifully held together in the Master's hands. Jane was heavy on my heart yesterday and I prayed for her protection, for her heart, and for you. I love your honesty in the midst of your pain, and I know God honors that in ways that will only be seen on the other side of the veil. God bless you, sweet Katie, and your precious mother's heart for all of your children. I do not know you personally but I found out about your blog and story through my best friend. You and your 14 darlings have been such an encouragement to me. I am praying for you, and the healing of your heart. I understand the pain that you are going through my dear sister in the Lord. "Therefore, my beloved brothers, be steadfast, immovable, always abounding in the work of the Lord, knowing that in the Lord your labor is not in vain." He alone is truly enough! In the weeks after the loss of a very close friend to me this is all that I found comforting. I will continue to pray for you, and my heart stretches across the continents to you. I cry out to our Lord and Savior to give you peace, comfort, and protection. Thank you so much for always being so open and vulnerable with your story and your struggles. God is in this and he will be with you in your suffering... no matter how painful it is. My husband and I are just beginning the process of adopting our first child from Uganda and I can't tell you how much of an encouragement your blog has been to me! Thank you SO much for sharing your story! Ohhh....Katie...there are no words, but God's that can comfort you. I want them too, but they are not enough. You are right God is the only one who is enough! PRAYING desperately for all of you.....praying! Thank you! Praying for peace and healing for you and your family! My heart breaks for the loss and pain you feel. I cannot comprehend it. I pray that you experience an outpouring of love peace that is beyond measure and that most of all that our Father in heaven chooses to demonstrate His love and power and faithfulness in doing a mighty work in the life of little Jane. Your words and your pain and desire to have our Father's heart speaks to me today. Saying a prayer for you and your family as I type this. I am sorry that you are hurting. I am praying that our Lord will comfort you with His presence during this trial. I am learning and finding that it is His presence is what sustains us, His strength, not ours. We need to keep seeking Him until we are comforted by His presence. In the midst of your pain you continue to minister to us all. Thank you for staying close to Him; for allowing Him to draw you closer; for sharing your heart with us all. God's words through you are rain for my dry soul today. Thank you. I am crying with you. I am praying with you. My heart aches for you and I cry, but my spirit is blessed by your heart for Jesus and all of his people. I continue to pray for you and ALL of your girls. And, that the Lord and Father God who knows the pain of losing a child will comfort your heart with his PRESENCE. You become more and more like HIM all the time. God bless and protect you and your family and may you have a truly beautiful Christmas. May the Lord bless you and keep you and give you Peace. Amen. You are Amazing and I am blessed to know your story - continued prayers for you and your sweet family. Thankful for you obedience. Thankful for your hunger for HIM. Thankful for your inspiration to others and the voice you give those without one. You are amazing and I am in complete awe when i read your blog. You are such an inspiration in my life and even though I do not know you at all I am and will continue to pray for you. I am a student at Ozark Christian College and because of who you are and the Love and Joy that you have in the midst of all of the pain and troubles of this world, I know that God will use me for whatever He calls me to. You are on the top of my list of people who inspire me, you have so much love to give, and are so caring to the people of Uganda. I love it, and I know that you shine His light no matter what, and all of this is because of Him but I want you to know that I am praying and I think you are such an awesome follower of Christ and you inspire so many people!Thanks for all that you do! Good stuff, He is enough! Just a servant to you Lord. Katie, we are praying for you everyday...God bless your momma heart. Yes, together, to be a womb for God... I am with you here, sister --- you are beautifully distended and taut over grace and Jesus -- and your life births more of His love into thousands of lives. How you have into mine, Katie. Your exquisite songbird, she still sings -- Jesus will give her a song. And Jesus still hears her lilting voice. She sings and you are stretched and your marks of love, the ones most painful, are the ones most beautiful -- like His. Please know today, Katie... how my prayers join yours --- "Be a womb -- come dwell within me, Jesus, and stretch my life to look more like Your love." As a sister in Christ I am praying for you and your family. I think it was no coincidence that I was right at this passage in 1 Kings for my Bible study yesterday. I have recently been confronted with the needs of some special people God has placed in my life and have found myself despairing because I know that there is nothing I can for them on the scale that they need. But God, through you, has reminded me that He can, and will, always provide. Always. Thank you for living your life with such abandon to the gospel. The world is in need of people who push past themselves to know the heart of God. May we all do likewise. Posted by a mom who lost her 2 year old son to cancer 12/2009 on his caringbridge website right before he died. I'm sorry Katie, I wish I could take away your pain and bring your daughter back. We are praying here for you here everyday. Thank you for your words of faith on this blog, you'll never know how much they've meant to me. I cannot pretend to know your pain, nor can I pretend that I have stepped out as far as you have in this faith. But your posts move me..to always be better than I think I can be. For someone so young, your inspiration stretches far beyond that of most of the elderly and wise. Thank you for being there doing what I cannot, right now, do. I pray for you and your children and your journey. And, I deeply, sincerely, believe in you. My husband and I pray regularly for your ministry and your family, and we continue fervently even tonight. I am so sorry, Katie. Our love to all 14 of your "notches". You are the picture of Isaiah 58:6-12. May He strengthen your frame, may He satisfy your needs in a sun-scorched land. May you be like a well watered garden, like a spring that never runs dry!! It is always amazing to me to read your posts, because each time I do I can see the love of Christ, our Lord and Savior, come pouring out of you. Each time you speak from your heart I can hear his words to me - even when your heart is breaking. Know that through your pain you are reaching so many of us and showing us the grace and love of Christ. We are praying for you and ALL of your girls! I don't know you, but I love you. May God draw especially close to you and your family today... Your insight is inspirational. Christ! I will be praying for you.